Though a dictionary defines a yacht as “a vessel used for private cruising, racing, or other noncommercial purposes,” yachts and the yachting lifestyle have come to mean so much more than that. Symbols of freedom and luxury for most of the western world, yachts have captured the imagination of those who yearn for adventure, excitement, travel, or simply a peaceful retreat from the hustle and bustle of landlocked existence. A sea-going life offers open vistas, beautiful scenery, peaceful surroundings, the camaraderie of other yachters, the freedom to travel or not, and of meeting new people every day or finding solitude when you feel like it. 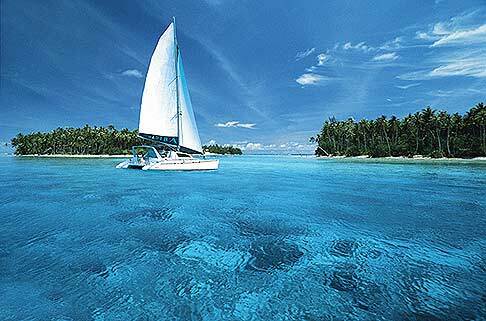 It offers chances to pursue and enjoy all watersports like fishing, swimming, snorkeling, and water skiing. With yachts, there are no borders. If you have trouble committing to living in one place for long, then this is a lifestyle in which you might be interested. From partying in Rio after dark to awakening to the sun kissed beaches in the Bahamas, every dream suddenly becomes possible. You are not tied down to anyplace and if you decide you want to relocate, well, go ahead! A daily change of scenery is the privilege of living a life aboard a boat! With modern technology, especially with the existence of the borderless Internet, this type of life is attainable to more than just retirees and the wealthy. On your boat, a home office goes with you onto the open seas. Imagine sitting on the deck, the sun on your skin and the breeze in your hair, sipping a tall lemonade or glass of wine while working on a bit of code, a spreadsheet, a report, or magazine article. You work at your own pace and take off when you please, a level of freedom and independence unimaginable as recent as thirty years ago. Which Kind of Boat is for You? There is as much variety in sea-going vessels as in automobiles, so it’s important to know what your specific needs will be first, then be able to list the features you want for comfort or style. How much space will you need? Yachts come in all sizes, generally starting at about 50′ in length and going out to 100′ and longer. Larger boats cost more to operate, maintain, and moor but obviously provide more living space for you and possibly your crew. In fact, many fees, taxes, and licenses for your vessel will depend on its length so make sure you know what you can afford before you decide. Do you imagine yourself aboard a motor powered vessel, or one propelled by sail? Both motors and sails require differing kinds of maintenance and upkeep, though in general motor-powered boats travel more quickly than sail-powered boats do. Some vessels come equipped with both, but the choice has as much to do with lifestyle and atmosphere as it does cost of upkeep. Think about what shape of hull you imagine – a single-hulled vessel or multi-hulled, like a catamaran or trimaran? Again, it’s mostly a lifestyle choice as upkeep and other considerations don’t differ much. If you’re unsure, consult with a reputable yacht club to explore your options. Lastly, where do you think you’ll be spending most of your time? Do you envision your sea-board life in the Caribbean? The Mediterranean? On the U.S. west coast, or Florida keys? Experienced sailors will tell you that individual ships ride very differently depending on the waters they’re traversing, so choose your vessel based on this information too. There are many fine vessels available for weekend or vacation rental and most harbors and marinas will have employees who know where to go to find decent rates on a yacht rental or yacht charter. “Try before you buy” is wisdom you can’t afford to ignore. The advantages to renting are many. You’ll get to try out many different kinds of ships and hulls over time, sail and motor powered, to see how they ride and which ones will be the most liveable. Though licensing and many fees are included in the cost of your charter, you’ll get a first-hand opportunity to learn just how much it costs to operate vessels of differing sizes and what it takes to get them into and out of harbors. How does it handle? Are the living spaces comfortable? Does it have the amenities you wanted? Most chartered boats come with everything you will need to make your trip safe and enjoyable. From the necessary equipment like sails and rigging and anchors to snorkeling gear and fully equipped kitchens, you’ll have all that you need for an unforgettable sea-going experience.